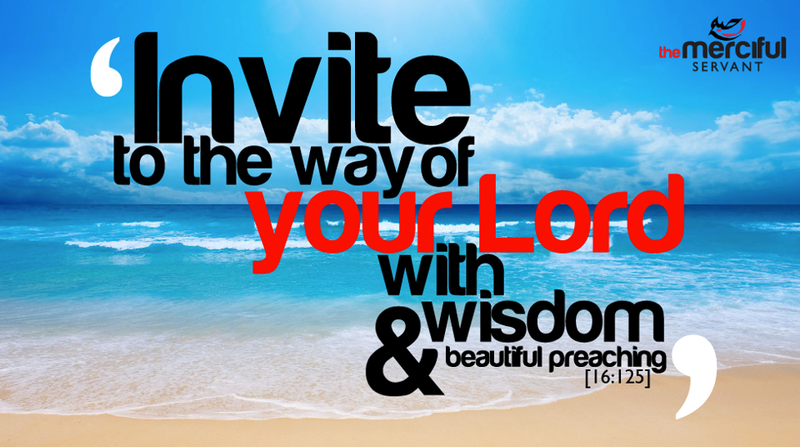 Dawah is to invite someone to the deen of Allah, it can be done to both Muslims and non-Muslims. Giving dawah to a Muslim, is important, and it is to remind them to worship Allah, encouraging one another is a form of dawah. Dawah involves two parties, the one who invites and the the one who listens. When giving dawah it is important it politely and with the greatest of manners as people are judging your character and behaviour as a Muslim. Face to face – this should always continue, as it is more persona, and should be the primary means of dawah. Dawah is considered as a form of worship, sometimes when we want to take up dawah we may think to ourselves that we aren’t knowledgeable, however, dawah has been made easy by the Prophet ﷺ in the hadith. Behaviour in public and private. Dealings with both Muslims and non-Muslims in business, etc. Respect towards other people, how you treat them. Furthermore, you need to be patient when calling people to Allah, as it can take a long time to guide people and yourself. Some people may ignore and be rude towards you, but by being patient, relying in Allah and treating them with the correct manners, you are performing a type of dawah. Examples that we can learn from when giving dawah is Prophet Nuh, and how he called people to the deen of Allah for 950 years. Another example is Omar ibn Al-Khattab, it was said that his father’s donkey would become Muslim before he did. But through the will of Allah Omar became one the Caliphs to guide Islam after the death of the Prophet ﷺ and is one of the ten promised Jannah. Remember to always be patient and rely on allah when giving dawah even if it isn’t saying something your actions, character and behaviour are forms of dawah which can be rewarded.